Jupiter’s transitMovement of planets in the sky in real time or GuruJupiter Gonchar in Scorpio, a friendly sign is a very significant event. It will bring major beneficial changes for most of the signs. Jupiter’s transit blesses with auspicious events, marriage, the birth of a child gain of knowledge, wisdom, wealth, political power, success, assets and promotion in job. Jupiter transit or Guru Gochar effects are generally beneficial as Jupiter or Guru is a natural beneficPlanets having natural beneficial and positive influences, opposite to malefic. Furthermore, Jupiter is a planet of hope, justice, good fortune, education, success, auspicious events in the family, marriage, children, power, fame, and prosperity. Jupiter’s transit, if favorable, blesses with changes in one’s personal or political life, starting a new venture, foreign travel for studies or profession, increase in religious activities. As a result, a person will be blessed with auspicious events like the birth of a new child or grandchild in the family or settling marriage of the progeny. Guru or Jupiter is the leader of all the planets and is a powerful, auspicious planet. Furthermore, it has a beneficent nature and positive influences. It also governs the digestive system. It is the largest planet of the Solar system. It takes around 12 years to complete a cycleA complete revolution of planet in the heaven (complete revolutionAn orbital motion of planets) of 12 signs and approximately remains in each zodiacHeaven divided into 12 signs, of 30° each sign during its transit for one year. Jupiter transited from Libra to Scorpio on 11th October 2018, moving very fast, will remain in Scorpio till 30th March 2019. Jupiter becomes retrogradeWhen a planet is considered moving backwards in astrology A retrograde planet has less energy or strength on April 10, enters again in Scorpio (Vrischika) on 23rd April 2019 in retrograde motion, will become direct on August 11, 2019, will be there in Scorpio till 5th November 2019. It transits through to sign Dhanu (Sagittarius) on 30th March 2019, becomes retrograde on April 10, 2019, in Dhanu remains there (in Sagittarius) for a very short period, i.e. till April 23, 2019, for 23 days. There will be many changes, good or bad in the lives of the natives born under different signs. Relations between neighboring countries or nations will be tenser. Increase in natural calamities in different parts of the world is predicted. Jupiter enters again into Sagittarius on November 5, 2019. Combustion of Jupiter (Guru Tara Asta) starts on November 12, 2018 (Monday), Guru Tara Asta ends on December 10, 2018 (Monday). Guru Tara Asta (Combustion of Jupiter) starts on Saturday, December 14, 2019. Guru Tara Asta ends on Friday, January 10, 2020. 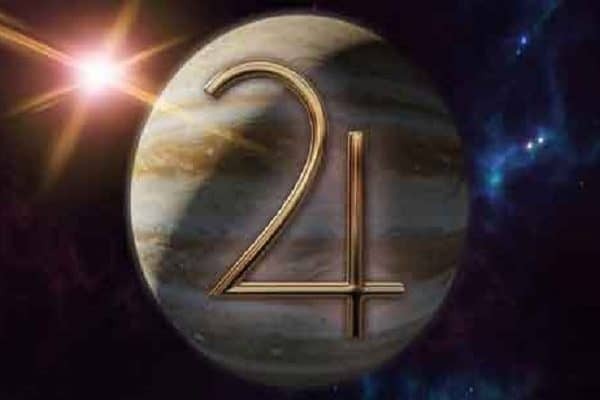 Jupiter becomes Retrograde in Sagittarius on Wednesday, 10th April 2019 for 123 days, enters into Scorpio in retrograde motion. Jupiter becomes Progressive on Sunday, 11th August 2019. Want to know Jupiter’s transit in Scorpio (Vrischika) in 2019 is favorable for which signs? Scorpio (in 1st house), Libra (in 2nd house), Leo (in 4th house), Cancer (in 5th house), Taurus (in 7th house), Pisces (in 9th house), Aquarius (in 10th house), Capricorn (in 11th house) from the birth moon sign (Chandra Janam Rashi) or ascendantRising of a zodiac sign on the eastern horizon at the time of birth, placed in horoscope of a native, as 1st house is most important in calculation and prediction (Lagna). In other housesThese are twelve sections of zodiac circle having 360° numbered clockwise Ascendant is known as the first house and the last house is known as the twelfth house Each house represents specific traits used for prediction., it is either neutral or maleficUnfavorable, opposite of benefic. Which signs are under Malefic or neutral effects of Jupiter’s transit in Scorpio? The natives born in above moon signs or ascendants must follow remedial measures, prescribed by a learned astrologer to minimize the malefic effects of Jupiter. Want to know Jupiter’s transit in Sagittarius (Dhanu Rashi)) in 2019/ 2020 is favorable for which signs? Sagittarius (in 1st house), Scorpio (in 2nd house), Virgo (in 4th house), Leo (in 5th house), Gemini (in 7th house), Aries (in 9th house), Pisces (in 10th house), Aquarius (in 11th house) from the moon sign. Effects of Jupiter’s transit or Guru Gonchar are not always the same in a sign throughout the transit. They depend upon the position of Guru from Moon and other planets, their aspect or combination with Guru, make some important Rajyogas. Thus the effects may differ from person to person according to the planetary aspectsAngular distances between planets, based on zodiacal longitudes, calculated in specific degrees, viz trine, square, represent relationship between two planets Planets generally influence 3rd, 5th, 7th, 8th, 9th and 10th house due to their aspect (Drishti) strength or position of planets. Jupiter, if well-placed in a house or in a strong position by a sign or its degrees and well aspected by beneficial or friendly planets, helps a nativeOne who takes birth, this word is used for astrology purpose to rise to great heights. Though transit of Jupiter in Scorpio, 2019 (Guru Gonchar) is a natural benefic for all signs, it can be favorable, neutral or malefic for a native’s horoscopeSynonym of birth chart, prepared with date, time and place of birth of an individual while transiting in different houses from the birth moon sign or ascendant, present in their unique birth charts. Saturn’s transit in Sagittarius will have no malefic aspect on Jupiter. If Jupiter is favorable for a person during the transit in a benefic house of his/her birth chartA diagram showing exact position of planets in signs at time of birth of an individual prepared with the help of time, date and place of birth, he/she may rise to great heights. The native will be blessed with a better profession or financial status, political power, name, and fame. People will experience long-awaited benefic effects, if Jupiter’s transit is favorable in their birth charts, during the transit in Scorpio. Individuals may get married or their marriage will be finalized. There may be financial gains through the job or new ventures, promotion in job, natives will find different kinds of new openings. Chances of the marriage of self or children will increase. One may be blessed with a newborn child or grandchild. Due to the bad effects of the transit of Jupiter in an unfavorable house of a native’s horoscope, the family life will be disturbed. Those who are having trouble in their married life will have to suffer a lot during Jupiter’s transit. There may be financial loss or hardships in accomplishing the work smoothly. There will be unrest, strained relations, increase in riots and conflicts, creating warlike situations in different parts of India and the world, as well. More natural disasters like the typhoon, flooding threat and earthquake will be experienced in the world, during the malefic transit of Jupiter. Astrologers most commonly predict the effects of Jupiter’s transit in a house from an individual’s birth moon sign (Janam Chandra Rashi) than the effects of Jupiter’s transit in a house from a native’s ascendant (Lagna). One should see transit results from both birth moon sign(Chandra Rashi) and ascendant (Lagna Rashi) present in the individual’s horoscope before making any final judgment. Effects of Jupiter’s transit in Scorpio from ascendant signs (Lagna or 1st house) are favorable for Scorpio or Vrishchik Lagna (in 1st house), Libra or Tula Lagna (in 2nd house), Leo or Simha Lagna (in 4th house), Cancer or Karka Lagna(in 5th house). Jupiter’s transit effects are also good for Taurus or Vrisha Lagna (in 7th house), Pisces or Meen Lagna (in 9th house), Aquarius or Kumbha Lagna (in 10th house), Capricorn or Makar Lagna (in 11th house) from the birth moon sign (Chandra Janam Rashi) or ascendant (Lagna). Guru Peyarchi Palangal in Vrischika Rasi, effects on various signs from the birth moon sign (Chandra Rashi)/ ascendant sign(Lagna Rashi) will not be same throughout the transit due to Vipreet Vedha points. Jupiter or Guru is a natural benefic planet or Shubh Grah, will give good results for most of them during its transit in Scorpio, a friendly, fixed water sign. Jupiter’s transit is considered a natural benefic planet. 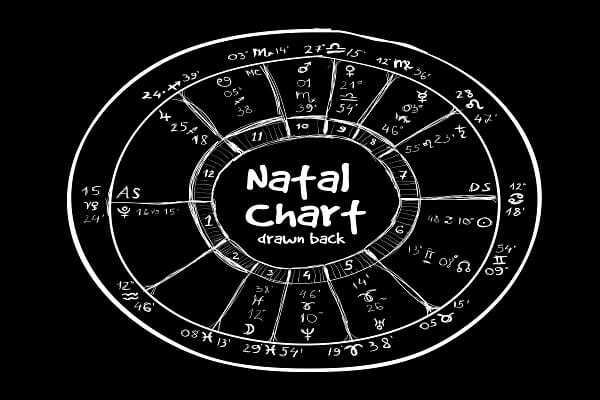 If the other planets are also well placed and powerful in the natalBirth, natal chart is used for birth chart chart of the individual, results will be more favorable. The study of the influence of celestial bodies on earth and humans may impact adversely during Jupiter’s transit. I have tried to discuss these Vipreet Vedha points or obstructive houses under the heading: ‘Obstructive points or Vipreet Vedha points that obstruct the power of Jupiter’ in this article’. Though very important, transit results of planets are only a part of the prediction, more or less, they are based on the intensity of various planets’ power to do a favor or not, during their transit through different signs from the individual’s birth Moon sign or ascendant sign. Jupiter is a natural benefic and auspicious Planet, moving in the friendly sign Scorpio, it will bless natives with good results through its transit in the sign or auspicious aspect on the houses of the birth chart. The exact or correct judgment of the effects of Jupiter’s Transit in 2019 can be made for an individual’s horoscope only after examining his/her birth chart. For accurate prediction, Jupiter’s transit in a house, running Mahadasha period and sub-periods, favorable or unfavorable in one’s horoscope should be taken into consideration. The progressed (annual) horoscope of that year is also important for prediction. Those individuals who have a powerful and benefic Jupiter in their birth charts, their progressing planetary periods (Mahadasha and Antardasha) are also beneficial, direct transit of Jupiter will prove an excellent period for them. For more accuracy in prediction, final judgment should be given by a learned astrologer after examining the transit and placement of the planets, their strength in the birth chart. During Jupiter’s transit, running Dasha periods and sub-periods favorable or unfavorable according to one’s natal horoscope and progressed (annual) horoscope of that year are also important for prediction. Jupiter, the ninth house lord transits in your eighth house is not a good transit period for you. Though you will face finance related problems due to the sudden increase in your expenditure, the unfavorable transit period of Jupiter is not always of the same duration. If planetary periods or sub-periods ( Mahadasha and Antardasha) are favorable along with this year’s progressed annual horoscope results (Varshafal), you have nothing to worry. However, sometimes you may feel tense in your personal life. Favorable results: RahuDragon’s head, used in Indian Vedic astrology is transiting through your 4th house is not a favorable transit period for you. 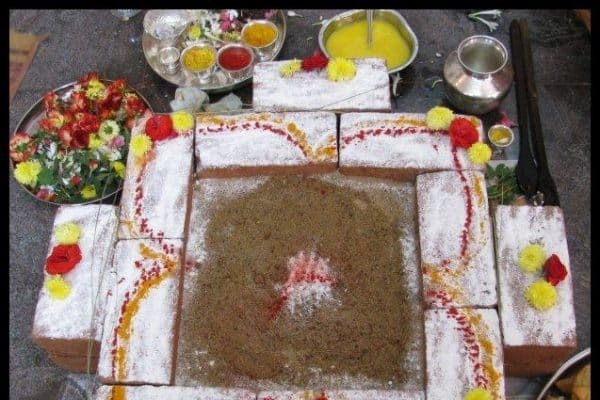 Rahu will transit Cancer to Gemini on 7th March 2019. You will be involved more in visiting places of pilgrimage and invest in performing religious activities, due to the impact of Jupiter’s transit. As far as health is concerned, follow health tips, take precaution and go for a regular health check-up. Saturn’s transiting in Sagittarius in your 9th house, change of place is indicated. Rahu, a shadow planet’s transit in Gemini in your third house will prove benefic transit for you from March 7, 2019. Things will certainly improve for you. Love and relationship: Love and relationship life with your partner will not move smoothly during Jupiter’s period in Scorpio. 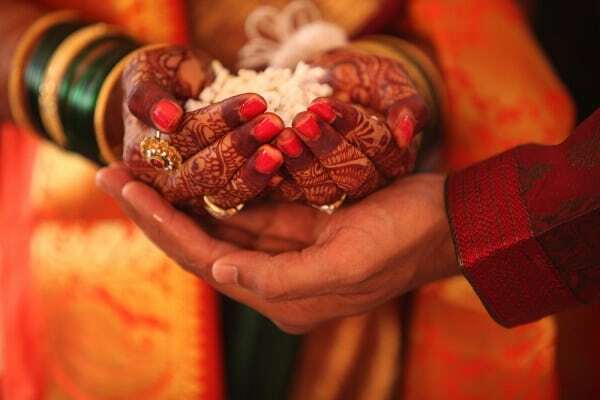 There are indications for unnecessary delay in marriage if it has already been finalized. You will be successful in maintaining peace in your married life. Unfavorable results: Sometimes you will face finance related problems due to the sudden increase in your expenditure, as Jupiter is also your 12th house lord, the house for expenditure. Do not start a big business in partnership to avoid massive payments or loss. You should not take any kind of huge debt during Jupiter’s transit in Scorpio as Jupiter is in your eighth house. Jupiter is lord of one of your auspicious houses, i. e. 11th house. The eleventh house represents income, luxury, success in fulfilling one’s desires, political power, and all round prosperity. Jupiter is transiting in your favorable seventh house, but it is the lord of the malefic 8th house, there might be some health issue. Jupiter is also the lord of 11th house for you when transiting in the seventh house, aspects Lagna. This transit is an auspicious transit for Taurus born individuals. Eleventh house lord Jupiter in 7th house is good for your personal life, marriage. You will achieve success during Jupiter’s transit in Scorpio if you want financial and professional changes. Favorable results: Jupiter is transiting in Scorpio in your seventh house from Taurus birth moon sign or ascendant. As Jupiter aspects, the Ascendant (Lagna) directly, makes this transit period favorable. You will experience most of the positive changes in your life. Love and relationship: This is a good period for love relationship for those who are yet to marry. Marriage may be finalized during Jupiter’s transit in 7th house. This Jupiter’s transit in Scorpio, the house for marital bliss is favorable, chances for marriage or birth of a child have increased. It is a favorable time if expecting a child. Married life will be peaceful. Natives who are seeking job may get success during the period of Jupiter’s transit in Scorpio. Jupiter is lord of 7th and 10th house for you, transiting in its friendly sign Scorpio, is in your 6th house. Saturn is transiting in your 7th house, is not favorable. 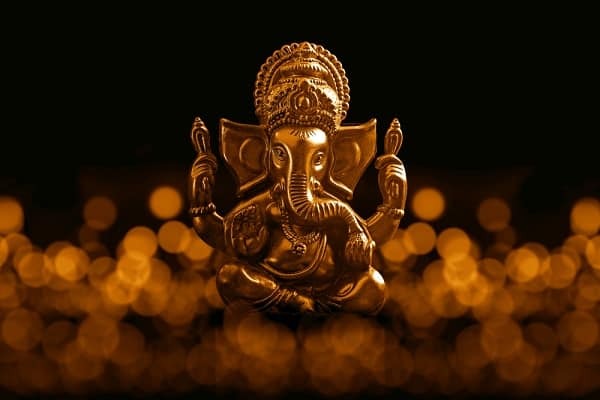 If Mahadasha and Antardasha are favorable in your horoscope and this year’s annual horoscope results are also good, you will achieve success, through your hard work and devotion. Favorable results: Though the Jupiter is transiting in Scorpio in the unfavorable 6th house from your birth moon sign or ascendant, Scorpio being its friendly sign, is a natural benefic. Do not keep the work pending, you will be able to finish it in time by putting more efforts. You may change your profession or business. Plan your strategy carefully, go ahead as this period may prove to be beneficial for you. There are indications for positive changes especially for job oriented persons, though delayed. Success is indicated for the students, appearing in the competitive examinations. You will do well in the studies and experience a great relief, as your debts start clearing due to Jupiter’s transit in 6th house. You should go for a proper and regular medical check-up if you are going through malefic planetary period and sub-periods (Mahadasha and Antardasha). Love and relationship: This transit will be for love, relationship or marriage. There is an indication of unnecessary delay or problems in finalizing your marriage. Take the decision at the right time, if running Mahadasha and Antardasha are favorable in the horoscope. However, you will achieve success in maintaining peace and harmony in life. Unfavorable results: Delay in undertakings, work pressure, mental stress is indicated for those have the unfavorable. Transit of Jupiter in Scorpio may make things harder, as Jupiter’s transit in 6th house is generally not favorable. Domestic unhappiness, unexpected disputes in the family, increase in expenditure or hidden enemies and obstacles in undertakings may be predicted for some of Taurus moon sign born natives. Hot discussions should be avoided with family members. You should avoid taking loans during this transit period. If running planetary periods and sub-periods (Vimshottari Dasha or Mahadasha) of planets in progress are unfavorable, you should increase efforts and work hard to taste success in your professional career. For Cancer sign born individuals, Jupiter’s transit in Scorpio will be in 5th house from the birth moon sign (Chandra Rashi) or ascendant. Jupiter is the lord of 7th and 10th house, a blessing for you. This transit of Jupiter will be a positive one and it will produce favorable results for most of the Cancer born natives. Saturn’s transit in Sagittarius in your 6th house is also very good. Most of your desires will be fulfilled. You may envisage favors from officers in higher authority, association with reputed people and gain a lot through them. You will achieve success in undertakings, there are bright prospects for education and all round prosperity. You will purchase conveyance or other luxury items. If unemployed you will be able to get a job or start a new business. Aspirants for educational or sports or other competition may be successful during this transit. Those wanting to go abroad for further studies will be successful. There are indications for the change of place, this year. You may get promotion in your present job. You may achieve financial gains through business or there will be an increase in income through salary. Love and relationship: For love, relationship and married life-related matters, this transit is a favorable one for Cancer born natives. There are chances for auspicious events in the family, the birth of a new child or fulfilling other long-awaited desires. This year is one of the most favorable years for those who want to get married. Jupiter is transiting in the 5th house in Scorpio, remain there till November 5, 2019. Those want to get married, may find a suitable match this year and some of you may get married during this favorable transit. One may be blessed with the birth of a new child during Jupiter’s transit in the 5th house. Chances of birth of a grandchild can also be predicted for those who are waiting to hear the good news from their progeny. Relationship with your progeny will improve during Jupiter’s transit in your fifth house, in the sign Scorpio. Favorable results: Jupiter is transiting in your 4th house from moon sign. Jupiter is lord of one of your auspicious house (5th) for you, but Jupiter transiting in your 4th house, a neutral transit, Jupiter is also the lord of the malefic 8th house, there might be some health issue. Generally, it is not a good transit period, Jupiter aspects your 8th, 10th and 12th houses from 4th house. However, this year will bring some good opportunities for you with some new professions, especially for youngsters. You may visit abroad for studies, job or business. You will be successful in fulfilling your desires by putting more efforts. If running planetary periods or sub-periods ( Mahadasha and Antardasha) are favorable, this year’s progressed annual horoscope results (Varshafal) is also good, you have nothing to worry. Sometimes you may feel dejected in your personal life. Love and relationship: Those want to get married, may find a suitable match this year and some of you may get married during this one year’s transit period. You should take more care of progeny. Saturn transits in your 5th house in Sagittarius, the house for children indicates that they should put more efforts and work hard to get success at studies. Unfavorable results: Do not take a huge loan during Jupiter’s transit in 4th house to avoid problems due to massive payments. Favorable results: Jupiter is transiting in Scorpio, in your 3rd house, is supportive and will give prosperity in your life. Jupiter aspects your 7th house, the house for marriage and 9th house the house for luck. Luck will be highly favorable for you as Jupiter aspects 9th house and Rahu transits in 10th house. This transit is good for the increasing and enhancing influence of the goodness of Jupiter and proves to be a lucky period. As far as career is concerned, you will be able to gain through your job or business, if involved in some business. You will be able to improve at your professional front. Avail whatever opportunity you get. Love and relationship: Jupiter is transiting in Scorpio, in your 3rd house. Jupiter aspects your 7th house, the house for marriage, you may be successful in getting your desired life partner. This transit is favorable for married life also, as Jupiter aspects the 7th house. The relation with your spouse will surely improve, during the transit. Family life will be peaceful. KetuDragon’s tail, used in Indian astrology transiting in 5th house is not so favorable, it indicates you should take more care of your children’s studies. Unfavorable results: This period is not unfavorable, except for some financial problems occurring at times. Jupiter transiting in your 2nd house, the house for wealth, family and relations is a benefic transit for you. There will be good professional and financial growth for you. Transit of Saturn and Rahu are also benefic. Favorable results: Transit of three planets in favorable houses: Jupiter’s transit in Scorpio in 2nd house, Saturn’s transit in Sagittarius in 3rd house and Rahu’s transit in Gemini in 9th house are positive transits for the Libra-born natives. Jupiter’s transit in your 2nd house is favorable transit for income and gains from assets. Natives who are in a job can find a better opportunity to work. This transit of Jupiter indicates an increase in income and inflow of money from different sources. Ketu’s transit in 3rd house in Sagittarius is a favorable transit. Proper medical check-up should be maintained. Follow healthy tips and take a good healthy diet to maintain your fitness. Love relationship: This is a period of emotional outburst, frustrations, and turmoil for you in relationships, marriage, business, the profession is coming to an end. Those who are suffering from disharmonyDistrust, conflict in married life will feel a great relief due to improvement in the relationship. There is an indication of the increase of a family member. Jupiter is transiting through your 1st house in Scorpio is a benefic transit. Saturn is transiting in your 2nd house in Sagittarius. This means you are under the impact of Saturn’s Sade Sati, the 3rd and the last phase of Shani Sade Sati. Saturn will give you something big at the end of the last phase of Sade Sati, after the troublesome period of long 7 -1/2 years. Jupiter’s transit in your own sign Scorpio is a boon and will minimize the malefic effects of Shani Sade Sati. Favorable results: Jupiter a natural benefic in your birth moon ascendant (Chandra Lagna) is a benefic transit for you. It aspects your 5th house, the house for education or progeny, your 7th house, the house for marital bliss and your 9th house, the house for the luck. Your relationships with your business partners will improve, your business will prosper with the favorable aspect of Jupiter. You will do well in your studies. Jupiter aspects your 5th house the house for education. Progeny will do well and show excellent results. Love and relationship: Natives who are waiting for a long time to get married can start looking for their prospective life partners. Your marriage is going to finalize as Jupiter aspects 7th house. Jupiter, a natural benefic planet, the lord of 1st and 4th house is moving through your 12th house, the house for expenditure is not a good transit. Saturn’s transit indicates Shani Sade Sati in your own sign Sagittarius. Rahu transiting in 7th house in Dhanu and Ketu transiting in Lagna are unfavorable. Favorable results: Jupiter the lord of 4th house, impacts on this house, the house for comfort, luxury, and peace. You will invest in purchasing luxury items. You will do well if you are working in the private or corporate sector. Your job-related problems will come to an end if you work sincerely. Plan well your strategy. Your business will keep growing if you work hard. If planetary Mahadasha and Antardasha are favorable and this year’s annual horoscope results are also good, you might achieve success, though delayed. Love and relationship: You will find your life partner during Jupiter’s transit in Scorpio. If you are in a mood to finalize your marriage at the earliest, go ahead, do not wait. You will be successful after some sort of problems. Those who desire to have a new child may conceive during this transit. Unfavorable results: Jupiter’s transit in the 12th house indicates the increase in expenses for you. Do not waste your money and energy on tasks that are less important. Think twice before you involve in a big investment for luxury or establishing a business. Your hard earned money should be safe for your future needs. All three major planets are transiting in unfavorable houses. Saturn is transiting in Sagittarius, in your 1st house from your moon sign (Rashi) or ascendant (Lagna) indicates that you are under the impact of the 2nd phase of Shani ki Sade Sati. Jupiter the lord of your moon sign is posited in 12th house, the house for expenditure. Rahu is transiting in Gemini, in 7th house from March 7, 2019. It is a malefic transit, so avoid any risk. Follow healthy tips and go for your regular medical check-up. Jupiter’s transit in Scorpio in the eleventh house is a blessing from Guru or Jupiter for Capricorn moon sign or Capricorn ascendant born natives. Rahu is in 6th house in Gemini (Mithun Rashi). It is a very favorable period for one year’s duration. 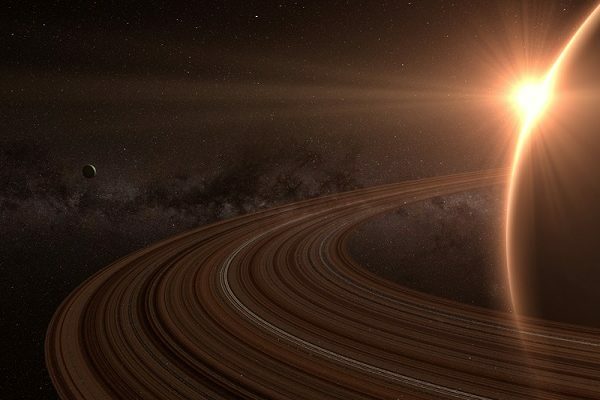 Your 1st phase of Sade Sati started with the transit of Saturn in Sagittarius. Favorable results: There are chances for an increase in income and status, change or promotion in job, gain through property or business, purchasing a new vehicle. Your long awaited wishes may be fulfilled. Success in education is also indicated during this transit. The 11th house is considered the house for gains, income, name, fame, political power, happiness, domestic comfort, luxury and all round prosperity. Some of you may purchase a good house or vehicle, visit religious places or and involve in religious activities. This is a good year for achieving success in education. Students will do well at their higher studies or competitive examinations. You may go to a foreign country for pursuing further education or job. Saturn the owner of your moon sign (Rashi) or ascendant (Lagna ) is posited in 12th house from moon sign ascendant indicating that you are under the impact of the first phase of Shani ki Sade Sati. You should gain enough courage to face the ups and downs of life at times. Your hard work and devotion will help you in reaching to the great heights in your profession. Love and relationship: This year may be one of the most favorable years for those who want to get married. You will be able to find your suitable match, finalize one from the proposals and get married. Unfavorable results: Rahu is transiting in Gemini (Mithun) in your 7th house from 7th March 2019 which is only an unfavorable transit for you. You are going through Saturn’s Sade Sati Dasha but due to the Jupiter’s transit in the 11th house, your income will increase through your increased efforts and hard work. Jupiter transits in your 10th house (the house for career) from your moon sign or ascendant. Jupiter is the lord of your 2nd house and 11th house from your birth moon sign. Favorable results: You will do well at the work front. Saturn is transiting in Sagittarius in your 11th house. You may invest in a business or purchase a property, as a long term investment. A new job opportunity is predicted on the cards. Change of place is indicated. Jupiter is transiting in the 10th house, the house for the profession, you may change your current job. You may go abroad for studies or profession. Love and relationship: If you desire to fix your marriage, it may be finalized. An increase in the family may be predicted. There is an indication for the birth of a child, or a grandchild. For love and relationship, you should try to take all important decisions at the right time for better results. You may be blessed with the birth of a child or grandchild if you desire so. Unfavorable results: Your efforts for change in job or transfer will be increased due to the unexpected problems and increased work-pressure, but you will achieve success in your efforts. Some of you might experience obstacles in undertakings, increased expenditure. Problems from your seniors may also be indicated due to the bad effect of Saturn Sade Sati, as the Saturn is transiting in your twelfth house. Jupiter transits in Scorpio in your 9th house, the house for fortune is an auspicious transit for Pisces moon sign born persons. Meen or Pisces moon sign or ascendant (Lagna) born natives are going through a highly favorable period during Jupiter’s transit in Scorpio. Favorable results: You may be lucky in finance-related matters, do well at professional front and taste success in undertakings as Jupiter in 9th house has the power to enhance your status in different spheres of life. Chances of enhanced business or promotion in job, increase in financial status or political power may be indicated. You will achieve your desired promotion or rise in career. You may purchase property for investment to grow in business. You will spend more on purchasing of the luxury items. Education-related good changes or success in competitive examinations are bright. You may go abroad or travel to distant places for higher studies or job. Transit of Saturn in 10th house is also favorable. You will get a new offer for a job or start a new venture. You will be involved in more religious activities and your expenditure will be increased. As far as progeny’s education is concerned, some good news is in store. You may be lucky in finance-related matters, do well at professional front and get success in undertakings as Jupiter in 9th house has the power to enhance your status in different spheres of life. If your running planetary periods or sub-periods (Vimshottari Mahadasha and Antardasha) are also favorable in the astrological birth charts, results will be even better. Career or job prospects are bright. Promotion in the job, increase in income and financial gains through business may be predicted for those who are engaged in business. Some of you may get an opportunity for a new job. You will achieve success in your efforts for a good change. Jupiter’s transit in Scorpio, in your 10th house, is an auspicious period for you. Love and relationship: Jupiter’s transit in your 9th house, you should try to take all important decisions at the right time for better results. Both you and your spouse will be able to manage your relationship more cordial. Those who have a deep desire for a child may be blessed with a newborn baby. Some of you may be blessed with a grandchild. 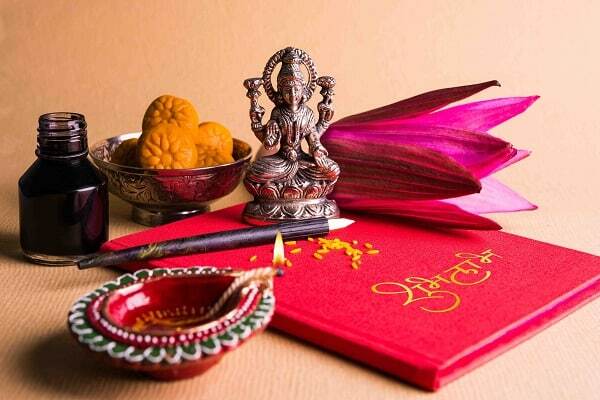 An auspicious ceremony may take place in your family. Thursday is considered the most suitable day (Var) for remedies for the adverse Guru or Jupiter’s transit effects. Remedies for Aries: Donate food and clothes to the needy persons. Give yellow pulse (Chana dal) Gur and Roti to cows and dogs. This remedy is recommended to all the signs born natives. Remedies for Taurus: Pay respect to Guru (teachers) and the elders. Chant Shani Beejmanta. Remedies for Gemini: Donate pulse and vegetables to poor or give these things at a temple. Remedies for Cancer: Worship Goddess and donate food and sweets to poor people. Remedies for Leo: Donate Gur (Jaggery) yellow pulses and other eatables of yellow color to needy. Remedies for Virgo: Respect elders and offer food, yellow pulse, and Gur to cows, preferably on Thursdays. Remedies for Libra: Care elderly persons as much as you can. Give food to dogs and feed birds with grains. Remedies for Scorpio: Offer Jal (pure water) to Pipal tree, especially on Saturday. Give food and clothes to the poor. Remedies for Sagittarius: Worship and offer dry fruits to Lord Vishnu. Remedies for Capricorn: Offer Rice pudding to poor or float some rice in running water. 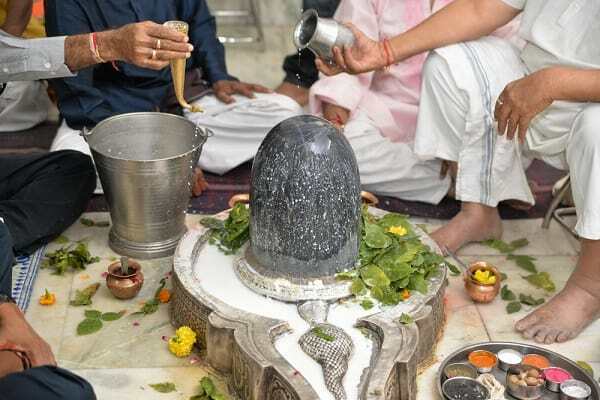 Remedies for Pisces: Worship Lord Shiva and visit a temple. Certain balancing transits of other planets that obstruct the power of Jupiter to do good are obstruction points or Vipreet Vedha points in Vedic astrologyThe study of the influence of celestial bodies on earth and humans. We can find these Vedha transit points in monthly transit forecastPredicting though movement of planets, predicting through movement of these slow-moving planets in, i.e. Saturn, Rahu, UranusHerschel is the previous name of Uranus, and Neptune, as compared to the other planets which are fast moving. There will be an obstruction (Vedha) whenever these fast-moving planets transit in the some of the houses of a horoscope, shown below the line. There are 2 sets shown here. One above the line, are considered places of benefic transit of Jupiter, while the set shown below the line are the obstruction points for benefic transits of Jupiter. For example: if a Pisces native has a benefic effect of Jupiter’s transit in 5th house (Cancer) from radical Moon, there should not be any planet’s transit (Vedha) in 4th house (Gemini). Jupiter will do favor only if there is no obstruction (Vedha) from any planet. Jupiter’s transit in Scorpio sign will be beneficial for Libra, Cancer, Taurus, Pisces, Capricorn zodiac signs. 1.Virgo 2. Cancer 3. Taurus 4. Capricorn 5. 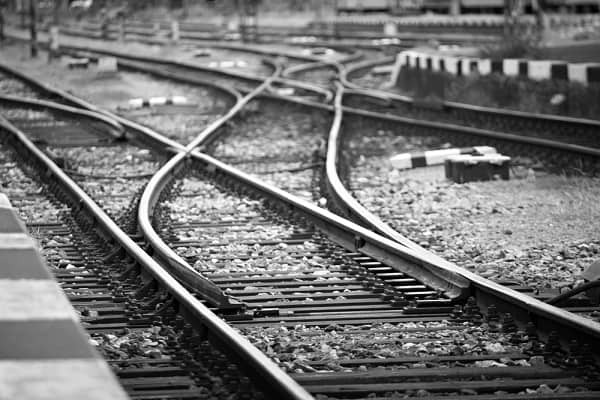 Sagittarius respectively will nullify good transit effects of Jupiter. Benefic houses for the transit of Jupiter are 2nd, 5th, 7th, 9th, 11th from the radical moon (Chandra Rashi), which means Jupiter’s transit in Scorpio is beneficial for the natives born with the signs: 1. Libra 2. Cancer 3. Taurus 4.Pisces and 5. Capricorn. Explanation: Vipreet Vedha or malefic transit effects of other planets present in 12th, 4th, 3rd, 10th or 8th house from the moon (Chandra Rashi) will affect the good results of the benefic houses from Chandra Rashi: 2nd, 5th, 7th, 9th, and 11th, adversely. Though Jupiter’s transit in Scorpio is favorable for the natives born in above five moon signs, i.e. 1. Libra 2. Cancer 3. Taurus 4. Pisces and 5. Capricorn, but due to the other planets transit in Vedh houses, imply negative effects or Vipreet Vedha. 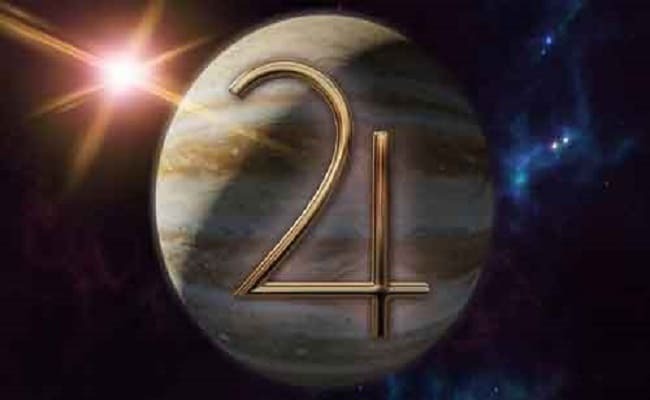 Jupiter becomes Retrograde in Sagittarius on Wednesday, 10th April 2019 for 123 days. Jupiter’s retrograde period will end on 11th August 2019. Guru or Jupiter will enter into sign Scorpio on April 23, 2019, will remain there before transiting to Sagittarius on November 5, 2019. Retrogression of a planet or Vakra (Vakri Graha) as it is known in the Sanskrit language, is used for interpretation of a native’s birth chart, found in only rare texts. It is the condition of a planet’s movement when a planet appears to be moving backward, though it does not move backward. A planet may seem to be in retrograde motion when it is far from the Sun. When Jupiter is in the 5th, 6th, 7th, 8th and 9th house (5th to 9th house) from Sun in the sky, Jupiter becomes retrograde. Again Jupiter seems retrograde when Sun is in the 9th, 10th, 11th or 12th house from Jupiter, in the sky. 1) Slowing down and stationary: First, a planet appears to be moving ahead and then it appears to be moving backward. Thus slowing down of the planet’s speed and becoming stationary before it appears to be moving backward. 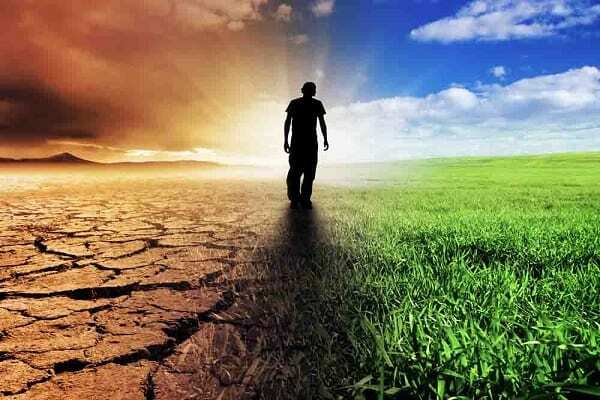 After the planet’s slowing down, it appears to have stopped (death), the planet seems neither moving ahead nor backward. It remains at the same degree for a certain period. 2) Retrogression: The planet now appears to have started moving backward in the sky. Its degree starts reducing gradually to 9, 8, 7, 6, 5, 4, 3, 2, 1, 0. 3) Slowing down and stationary: Again, the retrograde motion begins to slow down and then appears to be stationary (death) before the direct motionOpposite to retrograde motion. The retrogression of the planets is no more. Direct motion: The planet appears to begin its direct motion again and starts moving ahead after the retrogression. Like other planets, Mars, Mercury, Venus and Saturn, Jupiter or Guru never moves backward (retrograde). Jupiter moves in a circular orbit around the Sun and takes around 12 years to complete an orbit or revolution. It appears Jupiter is moving in retrograde motion because the Earth takes less time due to its speed. It takes just one year to complete an orbit around the Sun. Earth moving faster, passes up ahead of Jupiter in orbit. It appears that Jupiter is moving backward around the Sun, though it does not move backward. When the orbital speed of revolution of that planet changes with respect to the speed of revolution of the earth, it appears the planet is moving backward in the sky. Though it still moves forward due to the relativity of the planet and the earth’s speed and movement, it appears the planet goes backward in the sky. Luminaries like Sun and Moon also never have the retrograde motion. Jupiter’s retrograde motion happens every 9 months, the period lasts for around 4 months. When a planet retrogrades in an individual’s birth chart, the energies of the backward moving planet become more vital or strong. It turns inwards to affect personally, good or bad when we interpret the karmic astrology results. Slow progress, obstacles in undertakings, accidents, social or political unrest; sudden and unexpected changes in the political field, strained relations between countries, increased tension in personal life are predicted. Chances of fixing the marriage or engagement, during this period for those who are unmarried.